BrakesZone radiator shop provides a water pump and radiator flush service to determine if there are issues with your car’s cooling system. Your vehicle water pump or truck water pump is essential for circulating coolant throughout your vehicle’s engine. If your water pump isn’t functioning correctly, the engine coolant just sits in the block and heats, without getting delivered to the radiator to exchange its heat. No cooling from the radiator equals overheating, and overheating leads to warped heads, blown head gaskets, and lots of wear and tear on your vehicle. Looking to save on your next water pump or radiator flush service? 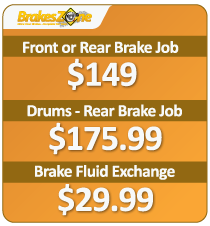 BrakesZone offers great savings with our radiator shop coupon to help you save even more! Print it out and come on by to your local BrakesZone. 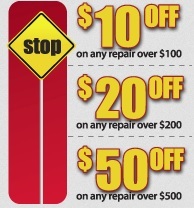 Check out our great repair coupons.